While the character was visibly absent from the reboot as it began, it had been confirmed that Alexis will be appearing towards the end of the series first season (which ties in with the original) with names including Heather Locklear, Laura Leighton, Elizabeth Hurley and Melinda Clarke all being thrown around as possible candidates to play Alexis. Now, the CW network have found their Alexis Carrington and have let us all in on who nabbed the role which has gone to former Desperate Housewives star Nicollette Sherridan. Alexis is the first wife of Blake Carrington and mother to Fallon and Steven. She will return unexpectedly to their world, challenging Blake’s marriage to Cristal, seeking to reunite with her children, and fighting to claim what is hers. A modern re-imagining of the iconic prime-time soap, the series centers on the powerful Carrington family as they defend their throne against the Colbys, new rivals and threats, and even each other. It stars Grant Show, Elizabeth Gillies, Nathalie Kelley, James Mackay, Sam Adegoke, Robert Christopher Riley, and Rafael de la Fuente, and Alan Dale. Dynasty is available to Australian viewers on Netflix Australia. Let’s just put it out there….there is going to be a lot to take in during this first episode back of our favorite alien-hunters show The X-Files. With 9 seasons and two movies worth’s of back-log to go through, Mulder (David Duchovny) of Mulder and Scully (Gillian Anderson) gives viewers a 3 minute history lesson in the world of The X-Files. In an attempt to catch up viewers not yet inducted into this world of aliens and conspiracy theories and to offer those who are, a nice slice of remembrance pie, Mulder pulls out the old case files and explains just what he and former partner Scully had been through. From the story of his missing sister to case photos showing very familiar villains of days gone by, it’s enough to bring even the greenest of fans up-to today’s case in point. And that point? Conspiracy theory cover-ups of course! While the existence of such a thing within the X-Files world is nothing new, this specific conspiracy theory brought to our attention by a scaremongering Tad O’Malley (Community’s Joel McHale) which begs Mulder to question everything he and Scully had done during their time with the X-Files and justifiably, bringing the two back together once again. So does this new installment of the X-Files feel like The X-Files? Well it helps to have Mulder and Scully back on board and AD Skinner (Mitch Pileggi) is back too plus everyone is still looking flawless (especially Anderson who is aging like fine wine) and – fans are going to love this – the original title credits have been left….untouched! So yes, for the most part this does feel like the X-Files. Mulder is now a recluse hermit still crazed and wanting answers, Scully is sort-of along for the ride even if at first she’d rather be back in the ER attaching ears to children who were born with none and there are UFO’s and aliens. That said, there is so much jam packed into this first episode. Some scenes of dialogue can be a bit much to take in, even for weathered X-files fans like myself. A certain scene involving Mulder linking Uber, Facebook, Snowden and the NSA (among a myriad of other things) all to a massive alien cover-up had me reaching for the remote to rewind and grasp some sanity of what lines he just spewed out. Throw that in with some flashbacks to Roswell and things seem a little less exciting once the rose tinted glasses come down. It’s not until the last 10 minutes of this episode where everything falls into place and we begin to make sense of what Mulder had been banging on about this entire episode and just like Scully, we’re dragged right back into the X-Files. The second episode which airs the following night flows much more like a proper episode as by this stage, the set-up has already taken place and we’re into full X-Files mode. Considering the love of re-boots of late (Girl Meets World and Fuller House to name a few) The X-Files falls into the ‘on a winner’ box. 2009’s Melrose Place reboot went to hell because it refused to acknowledge any link to its original backing and last years Heroes reboot failed due to…well…pretty much the same reason. Thankfully, The X-Files welcomes its history with open arms and we welcome it with even wider arms. Fingers crossed this miniseries opens a door to brining back Mulder and Scully for a longer stay. Episode one of this six episode reboot begins Jan 31st (6 days after it’s US release mind you) on Network 10. P.S: Keep an eye out for former Melrose Place alum Doug Savant (Matt Fielding) playing a doctor you wouldn’t really want your children to see in episode two! Let’s Fanboy(girl) Together! The X-Files New Season Sneak Peek Trailer is Here! David Duchovny and Gillian Anderson are back for the 2016 X-Files reboot! 13 years! Yes, it’s been 13 years since Special Agents Mulder (David Duchovny) and Scully (Gillian Anderson) last graced our screens (save for the two feature length films) and now the two are back in Jan of 2016 for a re-boot of the massive 90’s cult series that we’ve all been begging for on FOX. The six episode mini series will pick-up after where the series ended in 2002 which will see our reunited duo chasing monsters and little green men but also dealing with modern day threats like drones, NSA spying and constant surveillance. Joining our two favorite heroes in the reboot are familiar faces including Mitch Pileggi as Walter Skinner, William B. Davis as The Smoking Man and Annabeth Gish as FBI Agent Monica Reyes along with Tom Braidwood, Dean Haglund, and Bruce Harwood as The Lone Gunmen! “Everywhere you look, there’s a heart, a hand to hold on to. Everywhere you look (everywhere) There’s a face of somebody who needs you. When you’re lost out there and your all alone a light is waiting to carry you home. 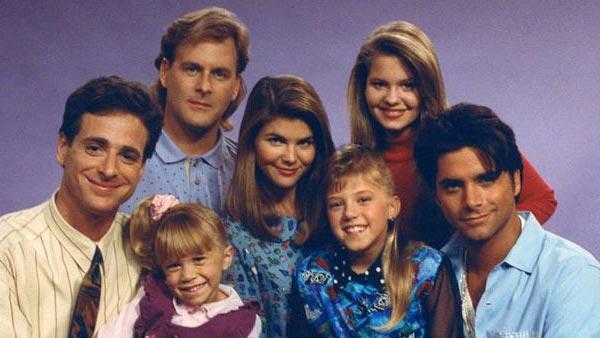 Everywhere you look.” We all know the lyrics and now they’ll be stuck in your head all day but that’s ok as Netflix is bringing back Full House! Currently titled “Fuller House”, the spin-off will focus on DJ Tanner (Candice Cameron-Bure) who is now a pregnant and recently widowed veterinarian (sounds like a hoot so far) and her two sons, her younger sister Stephanie Tanner (Jodie Sweetin) and her best friend Kimmy Gibbler (Andrea Barber) with Stamos set to guest star in the spin-off. The pilot episode is being touted as a one hour cast reunion special. As big fans of the original ‘Full House,’ we are thrilled to be able to introduce ‘Fuller House’s’ new narrative to existing fans worldwide, who grew up on the original, as well as a new generation of global viewers that have grown up with the Tanners in syndication,” said Cindy Holland, vice president of original content for Netflix, in a statement. 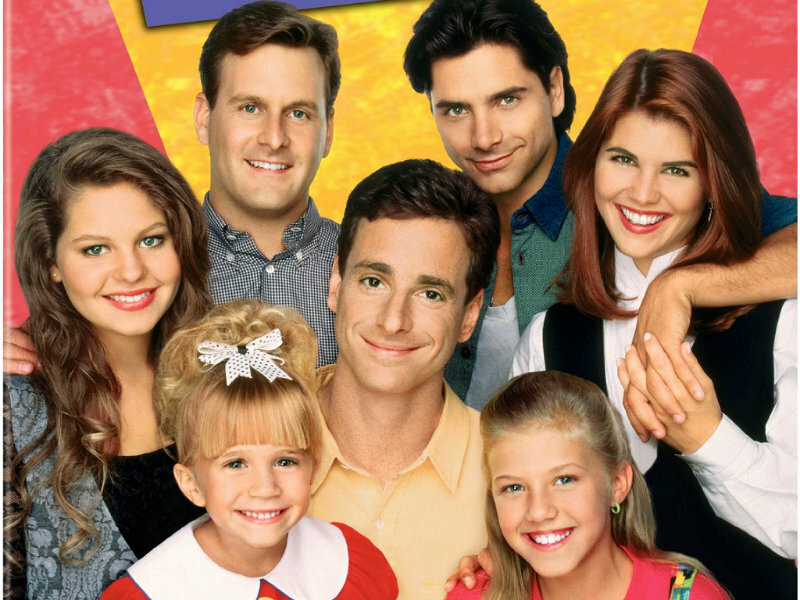 Read: Full House Reunion in the Works? That X-Files Re-Boot Is Almost Happening! Drink up! The X-Files is nearing a confirmed return! That X-Files reboot news that popped up back in early Jan is reportedly one step closer to actually happening with news coming out that FOX are apparently close to green lighting the revival. It’s being noted that the network has ordered a ‘short stack’ order for the planned re-boot which could see less than 10 episodes made of the popular sci-fi series that made David Duchovny and Gillian Anderson household names. Both Anderson and Duchovny have had successful post X-files careers and it’s believed that the hectic work schedule of both stars is part of the reasoning behind the short-stack order (Duchovny’s ‘Aquarius’ is due to premiere soon while Anderson is flitting between Hannibal’s third season and The Fall’s third season). Along with Gillian and David, creator/writer Chris Carter is back on board and an offer to Mitch Pileggi (Director Skinner) has been made. Any final say on the re-boot is most likely to come in May when FOX have their planned upfront presentation in New York. Are you excited for the return of Dana and Spooky? Sound off in the comments below! FOX has confirmed that Mulder and Scully will officially be returning to our screens searching for little green men! No official run date has been set.